In Bristol, Connecticut in 1943 Gary Burghoff was born to Rodney Burghoff, who worked for a clock company, and Ann Burghoff, who had been a professional dancer and directed local theater productions. He has an older brother, David. From an early age, Gary's love for animals became readily apparent. He bred angelfish when he was 8; he also freed a flock of ducks from a neighbor's farm. At age 14, he worked in a pet shop. Gary began honing his skills in music, art, and acting early as well. During his sophomore year of high school, Gary's family moved to Delavan, Wisconsin where his father got another job. While in high school Gary played drums with the Bud Wilber Orchestra in Milwaukee clubs. In 1961 his painting "Men of Jazz" won him the Hallmark Award and represented Wisconsin in the Hallmark Student Art Exhibit in Washington, D.C.
Burghoff's acting career started during his high school days as well when he appeared as Bobby in The Boy Friend. He also acted at the Belfry Theatre where his mother served as choreographer. After graduation, he headed to New York to study with Sandy Meisner, James Tuttle and Charles Nelson Reilly. He sold underwear at Saks Fifth Avenue to make money while studying. At the same time, he played jazz at local night spots with "The We Three," a trio which he formed. At New York night clubs such as the Duplex and Nag's Head Inn, Burghoff honed his singing talents. He performed at New Haven's Long Wharf Theatre as Og in Finian's Rainbow and as Eugene in Look Homeward, Angel at the Music Theatre in Rochester, N.H. He had roles in Babes in Arms, Bells are Ringing, The Sound of Music, and Tea and Sympathy on stage too. Gary made his TV debut in Repertoire Workshop on CBS in the 1960s. He also appeared on the Today show and National Educational Television's An Evening Journey to Conway, Massachusetts. In 1967 he had his biggest break in acting when he was cast as Charlie Brown in the original Off-Broadway production of You're a Good Man, Charlie Brown. The play won the Outer Circles Critics Award. Over the course of three years (one year in New York City and two years in Los Angeles), he performed the part over 1,000 times. Robert Altman was so impressed with Gary in You're a Good Man, Charlie Brown in Los Angeles that he gave him a screen test. That screen test led to Gary's part as Radar in the movie M*A*S*H.
Gary was the only actor in Twentieth Century Fox's hit film M*A*S*H who was asked to reprise his character for the extremely successful television series. When bringing his character to the TV series, Burghoff said he had to "re-create the Radar character because he wasn't fully developed in the feature." It was Gary's idea to give "Radar" a real first name. He went to Writer/creative executive Larry Gelbart asking to give the character a first name and suggested "Walter" after a childhood friend Gary knew who never understood a joke made at someone else's expense. Gelbart also based several of Radar's qualities upon those of Burghoff such as his love for nature. When visiting the Burghoff home in Malibu, Gelbart saw the wildlife sanctuary which Gary and his then wife Janet maintained in their backyard. At the time, his animal rehabilitation clinic was the only bird sanctuary licensed by the State of California. Inspired by it, Gelbart created Radar's zoo in the series. His sanctuary is how Gary became known as the "Birdman of Malibu." He cared for over a hundred animals such as birds and raccoons. It has been said that Gary is one of the best listeners as an actor. One of the characteristics he instilled into Radar when portraying him was that the character listened to everything with his ears and his heart. He also made it a point to always be doing something interesting even when he wasn't the camera's focus. Gelbart worked with Gary on expanding upon this as well. Burghoff received Emmy nominations for seven of his eight years on M*A*S*H. In 1977 he won the Emmy for Best Supporting Actor in a Comedy Series. Unfortunately, it was the one year he didn't attend the awards ceremony...he was fishing. The presenter was M*A*S*H star Alan Alda, who said he was glad Burghoff could not appear because "it gives me an opportunity to tell the world what a wonderful, gifted and outstanding person Gary Burghoff is -- something he, of course, would not say about himself." McLean Stevenson once said Gary "was the best actor" on M*A*S*H. Stevenson, who played Col. Henry Blake on the show, was Burghoff's closest friend on the set. One of the most memorable moments in M*A*S*H came at the end of the third year when McLean Stevenson was leaving the show. The final page of the script, which said that Henry's plane was shot down with no survivors, was kept a secret from the cast (excluding Alan Alda) until the moment before filming. At the end of the episode "Abyssinia, Henry," Radar walked into the O.R. to deliver the news. While walking in to deliver the line, Burghoff noticed Stevenson on the set watching the scene. Having just been informed of the shocking ending moments before and knowing he would no longer be working with Stevenson on M*A*S*H, Burghoff's performance was very realistic (in both takes...it had to be redone because of an extra's mistake). 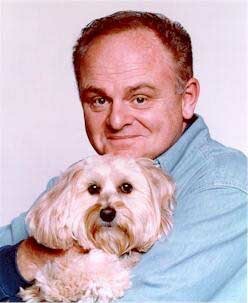 Gary Burghoff was among those present at McLean Stevenson's memorial service when he passed away in 1996. Stevenson died of a heart attack on February 15, 1996. "McLean Stevenson was one of the kindest, most sensitive people I've worked with or known," said Burghoff in an article by the Associated Press. "My personal sense of loss is magnified a thousand times by what this kind, funny gentleman has meant to all those who knew him." Burghoff left M*A*S*H shortly after the start of its eighth season. He wanted to spend more time with his family and in an interview in The Complete Book of M*A*S*H he discusses how he suffered from burnout. The strict scheduling required while in the series was difficult. After the third season, Gary was in fewer episodes each season due to the effect it was having on his family life. He also felt he had learned all he could from being in the series and didn't want to stay just for the money. Gary has always been grateful of his years on M*A*S*H. He achieved his goal of becoming an actor and got much recognition. After leaving M*A*S*H, he turned down several sitcoms, including a part on Newhart. However, he did return for two episodes of AfterMASH, reprising his still popular role as Radar; he also did a pilot for W*A*L*T*E*R in which his character becomes a police officer. After leaving M*A*S*H, he created his own All-Star Dixieland Jazz Band which recorded an album and toured some of the nation's jazz clubs. In regional theater, he toured five theaters doing The Owl and the Pussycat; it broke four of the theaters' attendance records. Next, he did Woody Allen's Play It Again, Sam, breaking more house records. Gary also became a born-again Christian. After doing The Nerd in 1987, Gary took time off from acting to raise a family. In the early 1990s he was facing financial trouble though. He prayed to God for help and received an answer...paint. Although painting has been a lifelong passion for Gary, it wasn't until the early 1990s that he began painting professionally. Since then he has been doing wildlife paintings and has toured art galleries across the United States to display them. He has donated several pieces of art to auctions held by various wildlife preservation societies and other worthy causes. On the silver screen, Burghoff has had roles in a few movies including M*A*S*H and B.S. I Love You. Additionally, he had a role in the TV movie The Man in the Santa Claus Suit, starring Fred Astaire. He has directed plays including The Buck Stops Where? as well as his own scenes in the movie Small Kill. He wrote an introduction for Two-Character Plays for Student Actors, a collection of plays by Robert Mauro. Besides recording the jazz album in the early 1980s, he has also written more than 100 songs and won the ASCAP Award for Excellence three times. Although unnoticeable in his work, Gary was born with three fingers on his left hand slightly smaller than normal. In the 1980s he did public service television advertisements promoting handicapped awareness. He starred in Invisible Children, a video made by Learning Corp. of America to help teach non-disabled children about other children who are handicapped. Gary is an avid RVer; he enjoys traveling across the United States in his RV. By driving rather than flying, he gets to see the landscape as he travels toward his destination wherever it might be. He also gets to meet a lot of different people. With the diversity present in America, he feels meeting different kinds of people is part of being an American. For the 1999-2000 tour of Last of the Red Hot Lovers, the cast traveled in an RV. Gary's favorite sports are baseball and fishing. Gary has visited and fished in every state except Alaska, where he plans to visit one day. He is also an inventor. Gary holds several patents for fishing tackle, including Chum Magic, a floating device that can be filled with chum to attract fish. Gary says it helps increase catches by about 300 percent. His other interests include coin collecting and stamp collecting. A large portion (or all?) of his coin collection was auctioned off at a public auction in 1980. In 1988 Gary filmed The Video Guide to Stamp Collecting which displays many different stamps and has helpful tips for novice collectors. He was a judge in the Federal Duck Stamp Competition in 1994. Gary and his first wife, Janet Gayle, had one daughter, Gena, 24. Gena is an actress in Los Angeles; she co-starred in Behind the Waterfall in 1995 with Gary. Married in 1971, Gary and Janet divorced in 1979. Gary has two boys, 11 year old Jordan and 13 year old Miles, with his second wife, Elisabeth. Elisabeth is a dental assistant for the developmentally disabled. They have a summer cabin in Connecticut and live in California with their two boys and pets including a cat named Connecticat, angelfish, and a dog named Sarah (pictured above). In May 1999 he began hosting a public television series called Pets: Part of the Family. The show focuses on the relationship between people and their animal companions. It showcases extraordinary animals and the people who care for them; helpful tips for pet owners are given as well. Gary does advertising spots for companies including Destinations RV in Oregon. He is still active in directing and acting in regional theater. Between September 3, 1999 and May 14, 2000 he was part of an acting group which toured 120 theaters in the United States and Canada performing Neil Simon's Last of the Red Hot Lovers. Compiled/written by David Long. Picture from Pets: Part of the Family site.